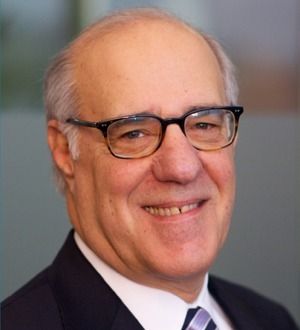 Marc is a founding partner of Manko, Gold, Katcher & Fox LLP. He represents a wide array of diverse clients on issues related to environmental regulatory compliance and permitting, particularly in the areas of water pollution control, solid waste management, site development, environmental due diligence, and the requirements applicable to the natural gas industry in Pennsylvania. Building on his experience at the Environmental Protection Agency, Region 3, Marc has focused his practice on representing industrial clients. Marc has handled significant Brownfield remediation matters and related transactions after working on the legislation and regulations establishing Pennsylvania’s site remediation program under the Land Recycling and Environmental Remediation Standards Act of 1995 ("Act 2"). More recently, Marc has focused his efforts on water regulation, including the TMDL program, where he is representing a coalition of industrial and municipal dischargers within the Delaware Estuary. This representation has enabled Marc to expand his practice before the Delaware River Basin Commission, a unique interstate agency with broad authority. Marc’s practice has now expanded into environmental and energy issues spawned by the discovery of the Marcellus Shale formation and the emerging natural gas development activities in Pennsylvania. Marc serves as the firm’s principal liaison with the Marcellus Shale Coalition.